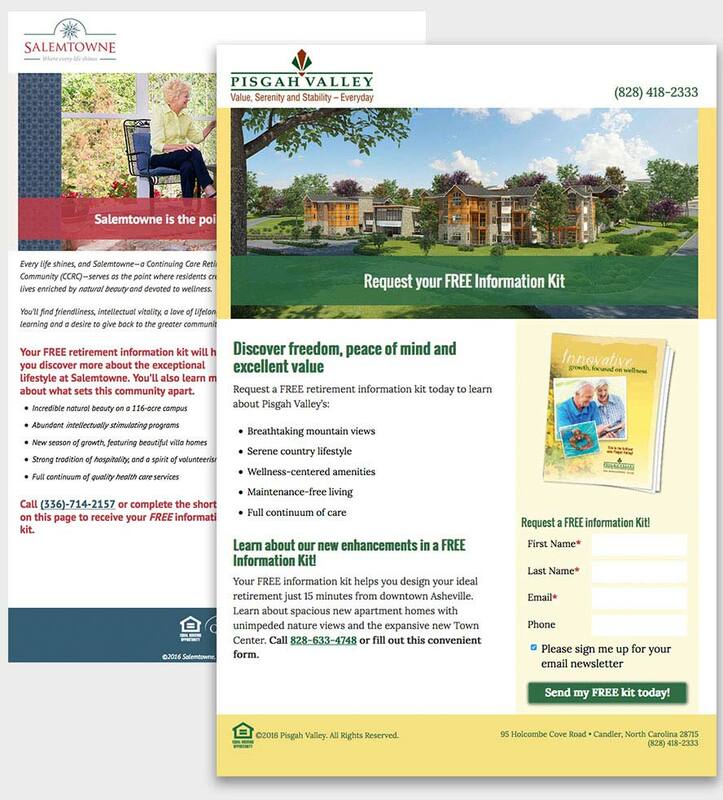 Choosing the right senior living advertising agency is an important decision and will be a key factor in the success of selling residences in your retirement community. 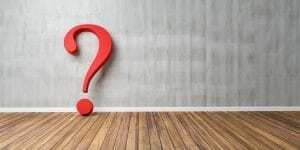 So what questions should you be asking a senior living advertising agency before you hire them? Here’s a helpful guide. What industries do you currently work with? How many senior living communities have you done work with over the past 5 years? How many of those Life Plan Communities did an expansion or was a “blue sky” (new community to be built)? 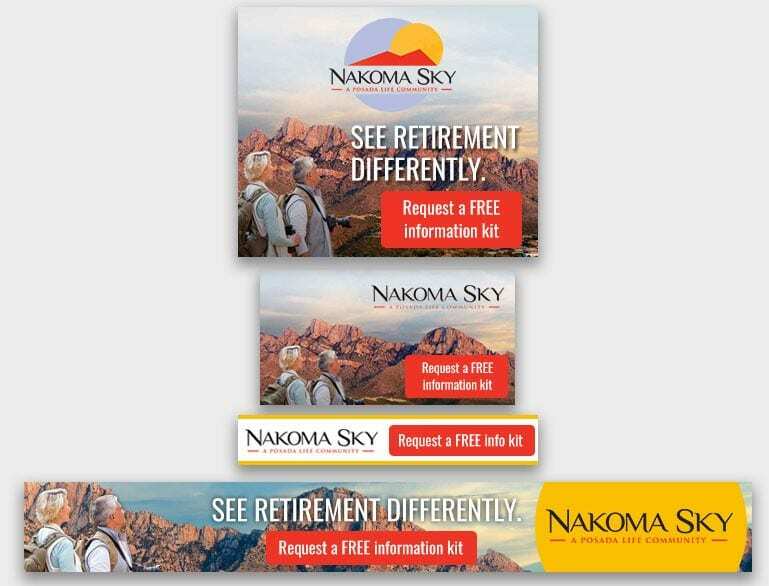 How many of those senior living communities did you lead the advertising creative and production? Can you elaborate on “how you develop and consistently tell the story” of a senior living community? What type of creative mailers (postcards, 4-panel, 6-panel) have you done? What type of creative mailer do you typically recommend? Can we see samples of your work? Can you share the marketing results without disclosing confidential information? How many members do you have on your creative services team? Are they employed by the company or freelance? How many of each? How many years, on average, have your employed members been at the company? How many years, on average, have your freelancers been working for the company? How many years experience do they have with the senior audience/senior living field and developing creative for Life Plan Communities? Does the same creative member/team work consistently on one account? Do you copy write the creative materials for your clients or is it up to the client to copy write the materials? Do you guarantee the finished creative if you direct the creative services and production? Do you go to the printers to do press checks on large printing jobs or when you use a new printer? Do you typically use non-profit postage for direct mail or do you use first class postage? Do you work with a select few printers or do you quote jobs out to receive the best pricing? What percentage of time, for a typical client, do you go over budget for a direct mail creative project? What about under budget? What percentage of time, for a typical client, do you miss a creative project deadline? What do you do to minimize this happening? Describe a typical process, including client checks, for a creative project. Determine the strategy of a piece? Review the piece with the client? How are websites hosted and managed? How much is your annual hosting and maintenance fee, and what does it include? Can I make edits to the website? If no, how much can we expect to pay for edits? How are your clients’ websites continuously refined? How do your clients’ websites interface with their CRMs? What CRMs do you have experience working with (i.e., MatrixCare, Enquire, RHS, Sherpa, Hubspot, Yardi, etc).? What email marketing automation systems do you have experience working with (MailChimp, Hubspot, Enquire, Constant Contact, etc.)? How do they interface with your clients’ CRMs? Do I own the content and the website? Can it easily be taken over by our community, or moved to be managed by another agency? Do you use proprietary code and plugins that make transferring to another agency difficult? Do you typically integrate websites with Facebook or other social media? What type of reporting is available after a website is built and live? Can we see some samples? Do you typically integrate a website with the community intranet? Do your websites integrate with a job applicant system? If so, which ones? Are your websites capable of handling event RSVPs? Are your websites capable of receiving credit card payments for priority club memberships? Do you have a team that can provide digital media management? If so, how big is the team and how many years experience do they have managing digital media for senior living organizations? Do you have your own programmers in-house? Do you provide services to effectively build and manage a nurturing email campaign? What is your strategy to acquire cost-effective leads? Does your agency have a media division (both traditional and digital)? If community decides to leave the agency, how is artwork, website, collateral handed off to another senior living advertising agency? Does the community own the artwork, website and collateral? I hope these questions are helpful as you begin your retirement community’s search for a senior living advertising agency. If you’d like to talk through why each of these questions are important, feel free to reach out to me by email or phone. I’d be happy to chat.